An all-new character dining experience debuts this spring at Disney’s BoardWalk, with appearances by adventurous royal couples from a few of the most beloved Disney films! 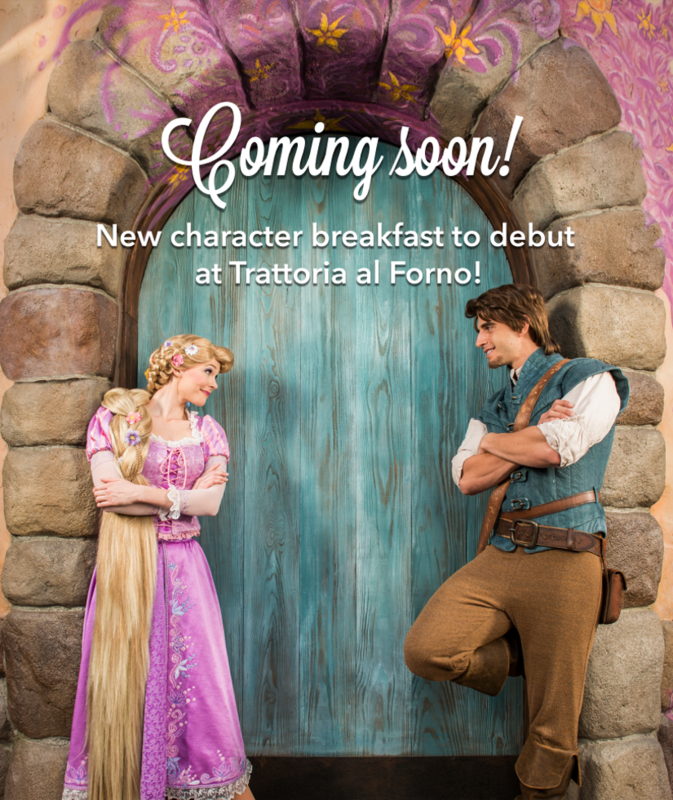 A delicious breakfast awaits you at Trattoria al Forno, as you prepare to set out for a day of endless magic at the Walt Disney World Resort. It’s a hearty “bon voyage” celebration, featuring popular characters from favorite Disney stories like “Tangled” or “The Little Mermaid.” The new character breakfast is slated to begin in late spring. Ariel and Rapunzel will be accompanied by their princes, Eric and Flynn Rider. However, characters are always subject to change without notice. More details (including the opening date, when you can make reservations, and menu offerings) will be shared soon!